Best Time for River Rafting in UT & CO | Insider Information! Whitewater rafting is an adventure to plan for. A primary consideration is time of year. Rivers ebb and surge depending on the season, snowmelt, and rainfall. 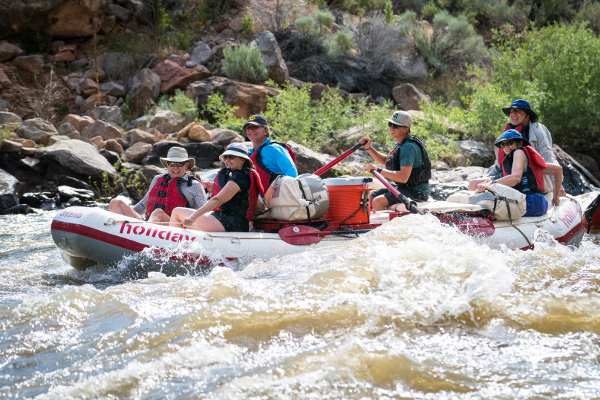 Here’s what you need to think about in order to gauge your choice of what the best time of year is for that river rafting vacation in UT and CO, that you’ve dreamed of! Who is in your party and what type of raft trip do they want? Young children, nervous newbies, and those with some general trepidation about risky water will probably do best on a river trip over calm waters during lower flow. If your group consists of adrenaline junkies; fast-pumping whitewater rapids could be the ticket. When you decide to river raft definitely affects the type of river you get to run: early is often bigger water, and late is usually lower water flow. High river flows mean more exciting water. Spring runoff can be huge. 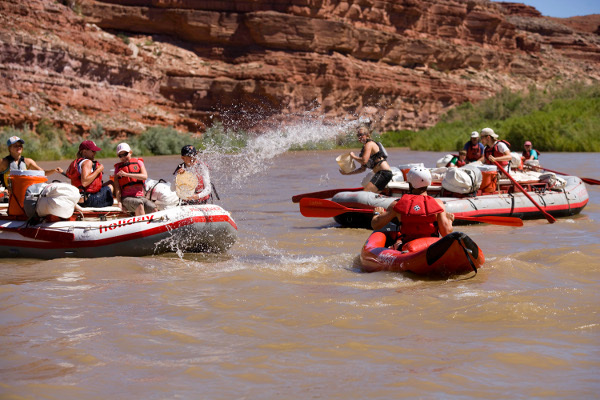 Classic Utah whitewater rafting can be found on water such as famous Cataract Canyon. If you’re looking for a “fierce adventure,” guide Lauren Wood suggests late May or early June might be the best time for river rafting. 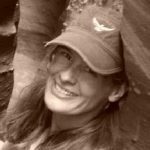 “It can be a challenge to predict the exact timing of high water,” says Lauren, but right around Memorial Day weekend is often peak flow. What you want, says this savvy guide, is that “critical intersection of a full winter’s snowpack and enough hot days in a row to allow that massive water storage to turn the faucets all the way ON!” Then, you just might be hollering “yee-haw” all the way on your river rafting trip. 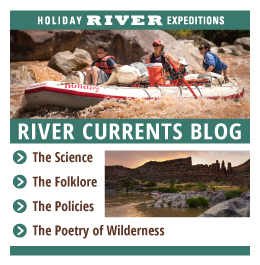 For those who want to experience smoother water flow and enjoy the beauty of red rock canyons as they slip through on river rafts, later in the season is generally when the rivers have eased off on their tremendous flows. August and September is the best time for a river rafting trip that engages the senses without spooking rafters who aren’t too keen on navigating a tumultuous white water river. 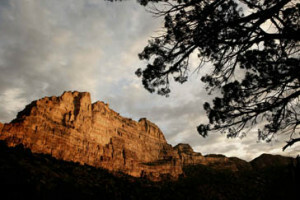 You might schedule a family rafting trip, for example, on the Desolation Canyon stretch of the Green River. Plan to ooh and aah over the spectacular beauty of this aptly-named, remote area, since this gentle trip is meant more to peacefully rejuvenate rather than wildly exhilarate the senses. At Holiday, we also rate our trips Beginner, Intermediate, or Advanced, which often correspond to the seasons as well as the details of a particular river. Learn more information about when to river raft via the Holiday river trip descriptions to find the one that’s a terrific fit for your style and needs.